The federation of our country, the unity of our people and the harmony among different nationalities are the basic need of todays Pakistan. We are shattered in different nationalities like Punjabi, Sindhi, Saraiki, Muhajir, Baloch and Pukhtoon. Though this all have been happening since the creation of Pakistan and we had paid a great cost of it by losing East Pakistan. But it is useless to repent on spilt milk. But at least now we should adopt such procedures which never lead us toward such situations. Although it is fact that most of things are not good every where but we are the only hope who can turn the tables. Now a day’s most hot issue is Balochistan. The people of Balochistan have lost their hope from Pakistan’s political and military establishment and the good is thing is this, that they shown trust in Supreme Court of Pakistan. But Supreme Court can only make judgments and Army can only do operation. At last you have to look for a leader who can handle the situation politically. Because we have observed that bullet is not a good solution of problems one day we have to be on table. If we look around the only name that come into mind is Mian Muhammad Nawaz Sharif, the president of Pakistan Muslim League (N). I personally had realized that Nawaz Sharif is well aware of his responsibilities as true and sincere leader towards Pakistan and people of Pakistan. 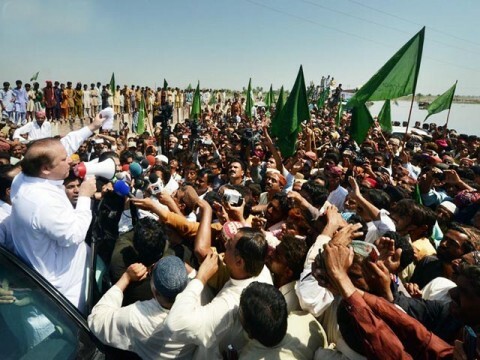 Many of his criticizers say that he is just a Punjabi leader but his deeds and steps towards national harmony among provinces proved them absolutely wrong. For last couple of years most of political activities of Nawaz Sharif are in other provinces especially in Balochistan and Sind. He has negotiated with nationalists of Sind and Balochistan and let them clear that existence of Punjabis, Sindies and Balochs is only in Pakistan. So we should solve our issues in boundaries of Pakistan and Constitution of Pakistan. 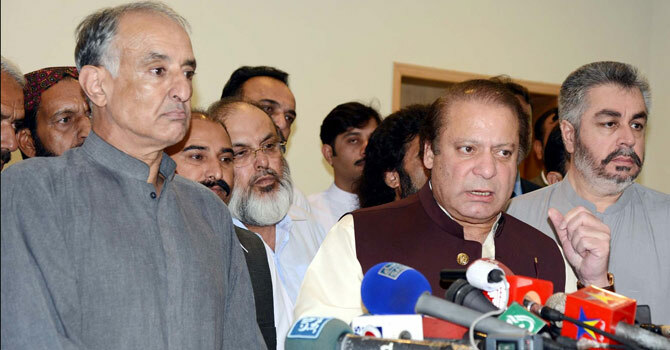 Nawaz Sharif is taking keen interest to talk with Baloch leaders like Bughties and Mengal. And they are giving positive response to Nawaz Sharif. They are admitting that Mian Nawaz Sharif has abilities to tackle Pakistan from this circumstance that’s why they are showing their trust in Mian Nawaz Sharif and making electoral alliance with PMLN. 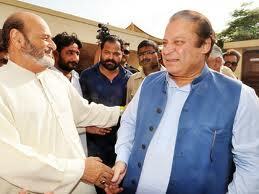 On the other hand Mian Nawaz Sharif is renewing the relation with common people of all over Pakistan. He visited many flood affected areas and won the heart of people. On the advice of Nawaz Sharif Punjab Government and CM Shahbaz Sharif is also working for the betterment of all other Pakistanis. There is a firm opinion that only National leader who can change the destiny of all provinces is Mian Nawaz Sharif. And if Allah gives him the opportunity to serve the nation he will fulfill our hopes inshallah.